Goodreads: March 1912: Twenty-four-year-old Elspeth Dunn, a published poet, has never seen the world beyond her home on Scotland’s remote Isle of Skye. So she is astonished when her first fan letter arrives, from a college student, David Graham, in far-away America. As the two strike up a correspondence—sharing their favorite books, wildest hopes, and deepest secrets—their exchanges blossom into friendship, and eventually into love. But as World War I engulfs Europe and David volunteers as an ambulance driver on the Western front, Elspeth can only wait for him on Skye, hoping he’ll survive. Kritters Thoughts: Two sets of pen pals and a whole heck of a lot of letters are the heart of this story. 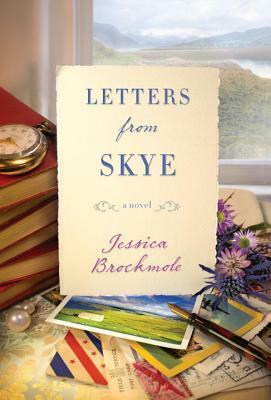 A mother and daughter both find themselves sending letters to men that they dearly love both at times of war when correspondence wasn't always reliable. With the current times of email and text messaging and quick replies, it was interesting to be taken back in time where it could take a month to get a response to a letter. These two ladies would wait days to hear news whether good or bad back from their loved ones. I couldn't even imagine that today! The letters were organized for easy reading, but with only letters to use to find out about these characters, I felt there was a little missing to create some depth to these characters. I wish there was maybe a journal entry or something else to add a little more to allow the reader to get to know more from the characters. This was a good book and I would recommend it to a reader who has a passion for history and loves to read books that are formatted a little differently. I agree with you. It was enjoyable but wasn't a grab me book. Books written in letter form are some of my favorites and authors don't do it often enough. I'll definitely be checking this one out.